Imagine getting money back for shopping on Amazon.com and at Whole Foods? That's not a dream. It's what you get with the Amazon Prime Rewards Visa Signature Card. The card offers Prime members 5 percent back on their Amazon.com and Whole Foods Market purchases and those points can be redeemed for future Amazon.com purchases or for cash back via an account statement credit or electronic deposit into an eligible account. Rewards credit cards commonly provide 1.5 percent or 2 percent back on purchases – or perhaps more in certain categories – but this card goes well beyond that for Amazon and Whole Foods purchases and, let’s be honest, between Amazon.com and Whole Foods Market, there aren’t many things you buy that you couldn’t purchase at 5 percent back. But there are a couple of things and those things are eligible for rewards too. You earn 2 percent back at restaurants, gas stations and drug stores and 1 percent back on all your other purchases. 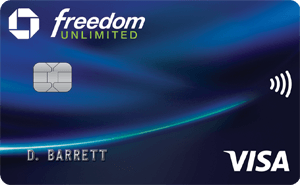 Another benefit that sets this card apart from others is that it doesn't have an annual fee. You do need an Amazon Prime membership to earn the 5 percent back (otherwise, you’d earn 3 percent back on those purchases). That membership costs $99 annually and has other perks, including free two-day shipping for eligible items, free streaming from the Amazon Prime movie and TV library and a host of other perks and features. Earning 5 percent cash back on all your Amazon.com and Whole Foods Market purchases could add up to some serious cash back if you're a serious online shopper. 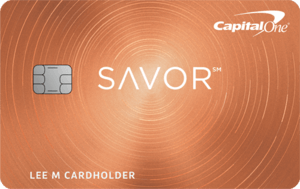 Even though this is a branded card, you can still earn 2 percent cash back at gas stations, restaurants and drug stores. That makes this a solid cash-back rewards card for just about any everyday purchase. With no foreign transaction fees (a relatively unusual feature for a no-annual-fee cash-back reward card) you can travel abroad without worrying about spending extra on fees. The welcome offer for this card is a $70 Amazon gift card as soon as you're approved. It isn't a bad welcome offer, but it is fairly restrictive. There are other cards out there with more flexible rewards and welcome offers if that's important to you. The 5 percent back on Amazon and Whole Foods Market purchases is one of the more generous benefits available, especially when you see that the amount you can earn isn’t capped. The Amazon Prime Rewards Visa Signature Card also offers flexibility when you redeem points. Let's say you make a $100 purchase on Amazon. When you go to pay for the purchase, Amazon allows you to reduce the amount by using your points. So, if you have $50 worth of points in this scenario (that would be 5,000 points), you could use your points and then pay only $50 for the purchase. Every 100 points are worth $1 toward a purchase. That means if you use your card for $1,000 in Amazon and Whole Foods purchases, that's 5,000 points or $50 to redeem on Amazon. Sometimes, you might want to use your points for other reasons. The card lets you redeem points for cash back (starting at 2,000 points), gift cards and travel. For instance, 2,500 points can get a $25 gift card and you can choose from flights, hotels, cruises and car rentals, too. And we really haven’t discussed that you’ll receive a $70 Amazon gift card as a welcome gift immediately upon approval for the card. Beyond being a solid rewards credit card, cardholders also benefit from not having to pay foreign transaction fees, so feel free to take this card with you on your next venture abroad. Plus, there are many card perks. With the Visa Signature Luxury Hotel Collection, for instance, you get room upgrades and VIP guest status at some of the country's top hotels. Additionally, Amazon Prime Rewards Visa Signature Card cardholders receive travel benefits like 24/7 Visa Signature Concierge Service to help you plan and book a trip. Other perks include travel and emergency assistance, lost luggage reimbursement, baggage delay insurance and travel accident insurance. There's also roadside assistance and an auto rental collision damage waiver. There are other rewards cards with more flexible introductory bonuses and even 0 percent introductory APR periods for purchases and/or balance transfers if those things are important to you (which is understandable if they are). Other cards might give you hundreds of dollars’ worth of points when you spend a minimum amount in the first three months. You won't get that with the Amazon Prime Rewards Visa Signature Card. Instead, you receive a $70 Amazon gift card when you're approved, which might be exactly what someone like you wants given that you’re applying for an Amazon-branded credit card. There's also no introductory low or 0 percent APR period, which could be important if you were wanting to do some serious shopping and have a few extra months to pay it off interest-free. Lastly, this card is only for Prime members (if your Prime membership isn’t kept current once you have the card, you’ll drop to only earning 3 percent at Amazon.com and Whole Foods Market), but there is another option for those without that membership – the Amazon Rewards Visa® Signature Card. The Amazon Rewards Visa® Signature Card gives cardholders 3 percent back on Amazon and Whole Foods purchases. Otherwise, there's no difference between the two cards' rewards programs. Neither card charges an annual fee and both offer 5 percent back on a category of purchases. While the Amazon Prime Rewards Visa Signature Card lets you maximize points on Amazon and Whole Foods purchases, Discover it® Cash Back offers 5 percent cash back on up to $1,500 spent in categories that rotate each quarter (you must activate the bonus categories quarterly in order to earn at that rate). You might get 5 percent back on charges at gas stations one quarter and then enjoy 5 percent at grocery stores the next. All other purchases get 1 percent cash back as do your purchases in the bonus categories after hitting the spending cap. Discover it® Cash Back provides a calendar so you can see what categories are coming up and, it should be noted, that Amazon.com purchases have traditionally been a 5 percent category at least once per calendar year, often during the holiday season. Another huge perk with Discover it® Cash Back is that Discover matches all the cash back you earn in the first year, which means that earning $200 in cash back during your first year will effectively mean you earn $400 in cash back that first year. Discover also doesn't charge a foreign transaction fee, but the card isn't accepted in as many global locations as Visa and Mastercard, so keep that in mind. The Bank of America® Cash Rewards credit card doesn't charge an annual fee and has a new offer that lets you maximize your cash back in the category of your choice: gas, online shopping, dining, travel, drug stores or home improvement/furnishings. Now you can earn 3 percent cash back in your choice category and 2 percent back at grocery stores and wholesale clubs (up to $2,500 in combined choice category/grocery store/wholesale club quarterly purchases) and an unlimited 1 percent back on all other purchases. Cardholders also earn a $200 online cash rewards bonus when they make at least $1,000 in purchases in the first 90 days of account opening. The Bank of America® Cash Rewards credit card doesn't charge an APR during an intro 12 billing cycles on either purchases or balance transfers made within the first 60 days (then, 16.24% - 26.24% Variable APR on purchases and 16.24% - 26.24% Variable APR on balance transfers), though there is a balance transfer fee (Either $10 or 3% of the amount of each transaction, whichever is greater.). This card is an option if you spend a lot of time at the pump and in grocery store aisles or, thanks to the option to choose your category, if you're a regular online shopper. The Blue Cash Preferred® Card from American Express (American Express is a CardRatings advertiser) gives cardholders 6 percent cash back at U.S. supermarkets on up to $6,000 spent annually (then 1 percent), 3 percent at U.S. gas stations and 1 percent on all other purchases. (Terms apply; See Rates and Fees). When it comes to a welcome offer, this is a decent one: New cardholders earn a $200 statement credit when you spend at least $1,000 in the first three months. There are also two fees that you don't find on the Amazon Prime Rewards Visa Signature Card. The Blue Cash Preferred® Card from American Express charges a $95 annual fee and charges a foreign transaction fee of 2.7% of each transaction after conversion to US dollars. So, you get a higher percentage back at supermarkets and a better introductory bonus and APR, but it comes with an annual fee. The Amazon Prime Rewards Visa Signature Card is meant for Prime members who are regular Amazon and Whole Foods Market shoppers. You get 5 percent back on those purchases, which is one of the more generous rewards programs. Plus, you don't pay an annual fee. That combination is rare. Plus, it's not just an Amazon-branded card; the Amazon Prime Rewards Visa Signature Card offers multiple benefits and no foreign transaction fees and the chance to earn bonus rewards beyond your Amazon purchases. All of these perks, and more, make the Amazon Prime Rewards Visa Signature Card a well-rounded credit card.